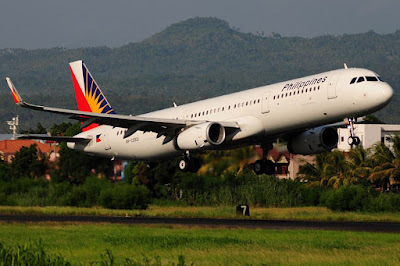 Aviation Updates Philippines - Due to the improving Philippine market, aircraft delivery deferral, and lowering fuel prices, Philippine Airlines returned in the black, according to the Centre for Aviation. The aviation think tank said that the outlook for Philippine Airlines improved seeing a small profit in 2014. Philippine Airlines Airbus A321-231 RP-C9921 departs from the Davao International Airport bound for Manila. 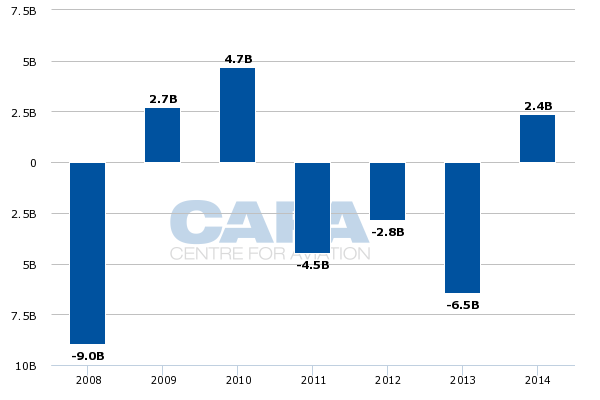 “The Philippine flag carrier returned in the black in 2014 with a small profit and should be able to turn a more sizeable profit in 2015 following a profitable first quarter,” CAPA - Centre for Aviation said. According to CAPA, PAL Holdings reported a net profit of P127.3 million in 2014 compared to a loss of P12.9 billion in 2013. In early May, the airline reported a net profit of P3.711 billion for the first quarter of 2015. The Lucio Tan Group recently deferred the delivery dates of its Airbus A321 aircraft orders. The airline is supposed to accept 10 Airbus A321 deliveries in 2015, but decided to take only five aircraft. This move will avert a potential return of overcapacity in the domestic and international sector. Philippine Airlines booked an operating profit of P2.373 billion in 2014 compared to an operating loss of P6.455 billion in 2013. The airline also reported an operating profit of P3.158 billion in the first quarter of 2015 compared to an operating loss of P801 million in the same time in 2014. Less flights means more aircraft costs on the ground. 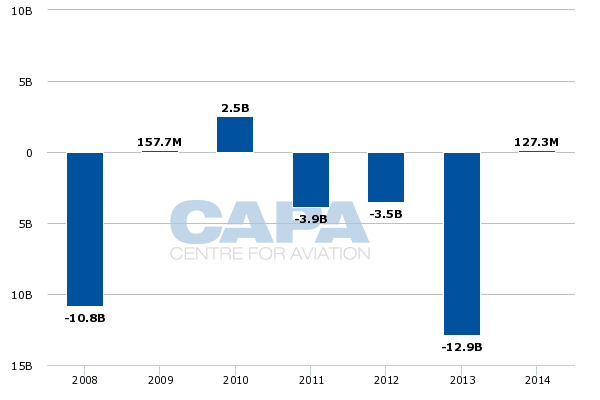 Centre for Aviation also sees an underutilization of Philippine Airlines' 15 Airbus A330-300 aircraft. Philippine Airlines currently operates eight Airbus A330 aircraft configured in an all-economy layout and seven aircraft configured in a two-class layout. PAL's new management team determined that the airline only needs seven or eight of the Airbus A330-300 aircraft currently on its fleet. The Airbus A330's utilization hours are only around 9 hours per day or 63 hours per week with 77 more hours to stay on the ground per week. However, "PAL has since been able to improve utilization of the A330 fleet by starting to use the type on the Honolulu, Melbourne and Sydney routes," according to CAPA. PAL currently operates its Airbus A330s on all of its Middle East routes, Bangkok, Hong Kong, Tokyo, Cebu, General Santos, and Davao.